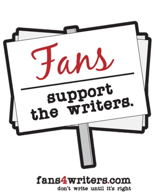 Ask A Ninja Special Delivery 17 "Writer's Strike"
Ask a Ninja supports the WGA. In this video, Ninja gives the writers some tips on how to beat the AMPTP. He's also a fine example of why the writers should continue to fight to be cut into the New Media dealio!